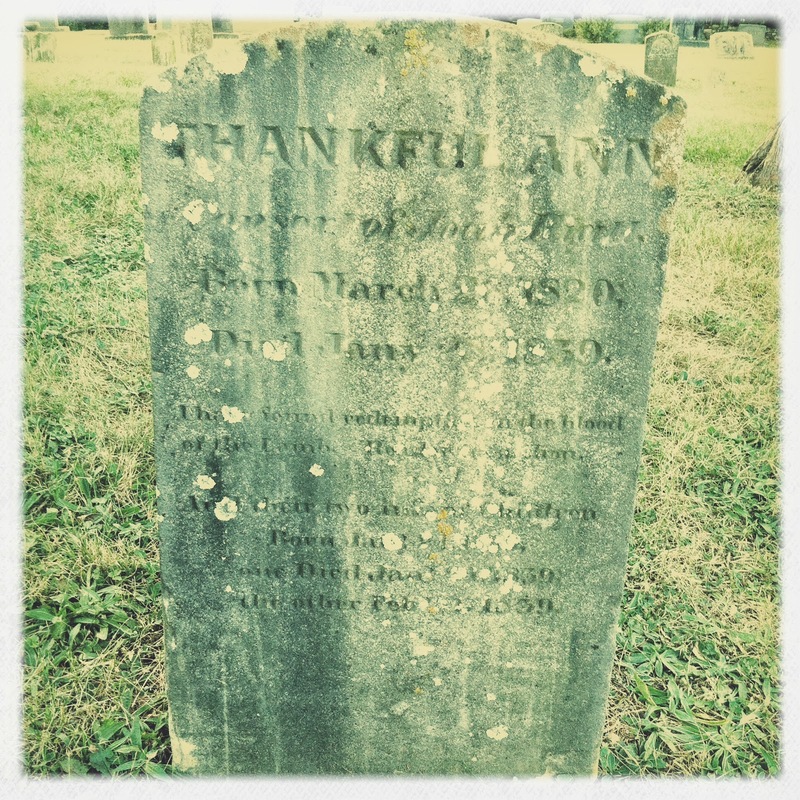 Thankful Ann Gillespie Hiatt, who was 18 when she died, and her infant twins are buried in the church cemetery at Greensboro’s Buffalo Presbyterian, across the graveyard from her parents, Robert Gillespie and Nancy Hanner Gillespie. Information about Thankful’s family suggested that she grew up in some affluence, or at the very least were prominent in Guilford County. Both of her grandfathers, Robert Hanner and Colonel Daniel Gillespie served in the North Carolina House of Commons. Daniel Gillespie also served in the North Carolina State Senate from 1790-1795. He was one of the first people to own lots in Greensboro, one of those lots at the corner of Elm and Market Streets. 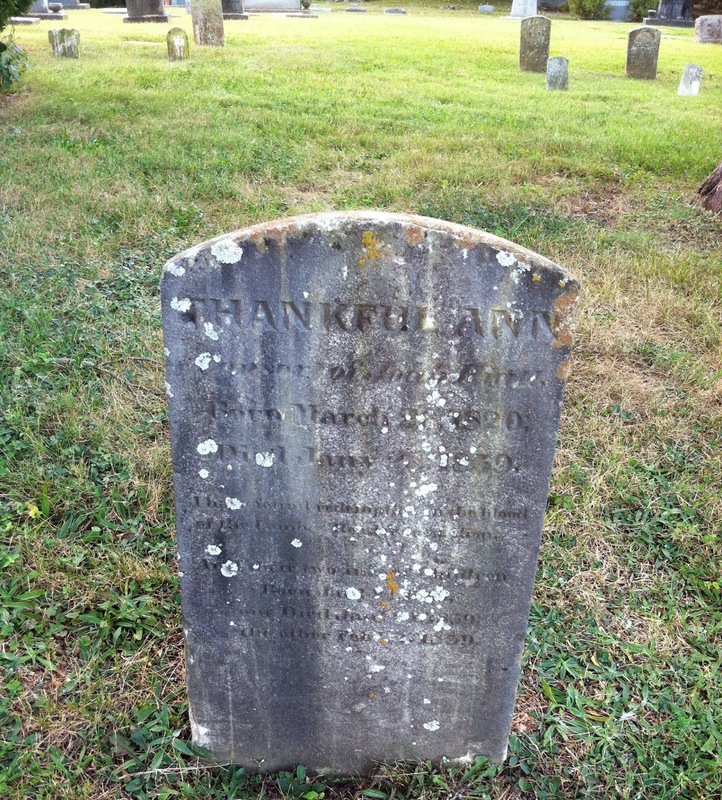 Thankful married Joab Caldwell Hiatt (1815-1867) on January 2, 1838. They’d only been married for a little over a year when the birth of the twins was quickly followed by the deaths of the mother and children. The details on this image are a little clearer. Previous Previous post: "Milton’s Ancient Hallowed Acre"